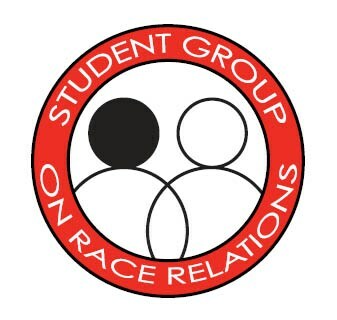 The Student Group on Race Relations (SGORR) is an organization of diverse high school students in the Shaker Heights schools that promotes positive social relations across all boundaries of difference. SGORR students are trained to facilitate discussions of diversity with Shaker’s fourth and sixth grade students, and they teach intervention activities that lead to investigations of stereotyping, discrimination, social polarization, and bullying. In addition to visiting elementary school classrooms, SGORR students also implement diversity workshops by request with adult and groups in the greater Cleveland community. SGORR is a “train-the-trainer” dissemination program, and each of the twenty student “core” leaders of SGORR trains a diverse team of ten to fifteen peers. During core meetings, student leaders facilitate and teach activities that foster a discussion of diversity, creative problem solving, peer pressure, and bullying. The core leaders then teach these facilitation skills and activities to their team members in weekly team meetings and lead the teams in presenting workshops in Shaker’s fourth and sixth grade classrooms. Students are at the center of every aspect of SGORR; students create new curriculum for the classrooms, maintain membership lists, facilitate community workshops, plan and execute SGORR’s annual membership meeting and the all-SGORR meeting, and manage the creation of our annual publication, The Vernacular. Therefore, SGORR provides a wide array of leadership opportunities for high school students and allows them to work collaboratively on projects of their own design. Over the course of three visits to Shaker’s fourth and sixth grade classrooms, SGORR aims to create an awareness of prejudices, teaches young students to identify problems caused by peer pressure, and introduces a multi-stepped approach to creative problem solving. In recent years, SGORR has also placed a special emphasis on equipping elementary students with the skills to combat bullying.